Buchanon played last season with Detroit and though he’s expected to be slotted behind DeAngelo Hall and Carlos Rogers on the depth chart, his arrival could mean the team doesn’t have to rely on young corners Kevin Barnes and Justin Tryon if an injury arises. He could also find himself on the field in nickel packages. Buchanon was set to earn $3.5 million from the Lions before Detroit released him earlier this month. 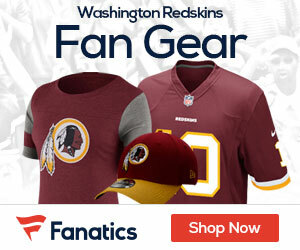 ESPN.com reported the Redskins signed him to a one-year deal worth $1.5 million, plus another $750,000 in incentive money. The Redskins will be Buchanon’s fifth team in seven seasons. He’s still looking to match the level of success he enjoyed when he first entered the league. A former first-round pick out of the University of Miami, Buchanon had 11 interceptions in his first three seasons with Oakland but has had only seven in the five seasons since then.